Designed by Peter Homestead, the Kenzo Sling High Back Swivel Rocker exhibits simple, graceful lines and a wide frame. 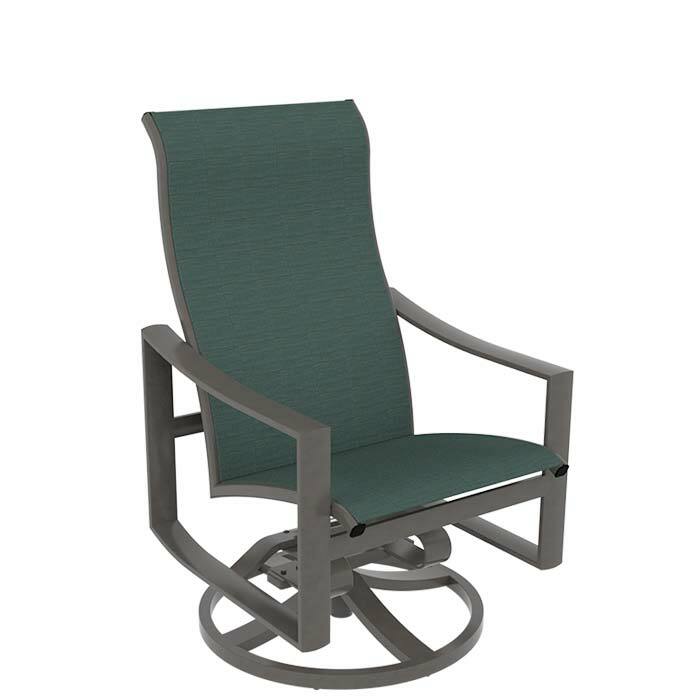 This outdoor dining chair features a single layer of durable, designer fabric with a taut appearance and a high back for optimal head support. The Kenzo Sling High Back Swivel Rocker delivers optimal comfort for relaxation all day long.